At South Hills High, Jim Crye teaches economics and rawk. Metallica, Slayer, or System of a Down isn’t something you’d expect to hear in a high school classroom. Rock ’n’ roll has never been associated with a good education. But at South Hills High School in Fort Worth, economics teacher Jim Crye is educating his students not only about budget surpluses and currency rates but also on the proper way to shred. “This is the one thing I can do where I don’t have to be a judge,” said Crye, who spends his days teaching and his nights playing guitar for his bands Volume Dealer and Primal Concrete Cowboy, a Pantera tribute outfit. 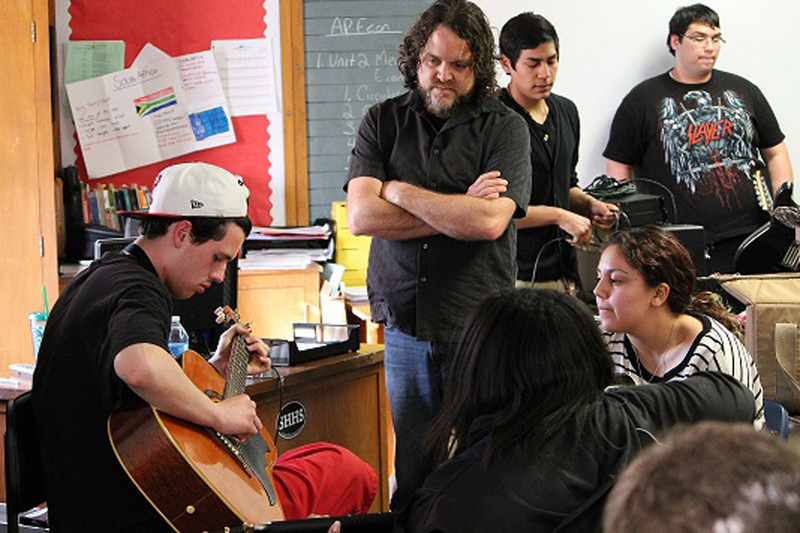 Crye has been running his after-school guitar club at South Hills almost since his first day on the job in 2010. He started the program in response to the school’s growing gang problem. Just a few years ago, he said, not a day would pass without a fight breaking out among rival members. In 2006, a student was shot and wounded by a Fort Worth police officer during an altercation. In 2008, another student was shot by a police officer after a reported struggle. And in 2010, two students were accused of killing an honors student. The administration wanted teachers to come up with extracurricular activities to connect with the kids. Some teachers started art clubs; others a graffiti club and a ping-pong club. “We were just trying to come up with innovative ideas, out-of-the-box thinking on ways to get kids more involved,” said Assistant Principal Brian Rosatelli. All of the programs received some government funding –– until the state pulled the plug last year, Crye said. Crye said he’s looking for “the next Jimi Hendrix” –– and he’s only half joking. On a recent Friday afternoon in a small portable building, five students were sitting in a circle in front of the classroom, holding acoustic and electric guitars. On a screen amid posters displaying information on various countries’ economies glowed the instrumental notation or tablature to Metallica’s “Nothing Else Matters.” Four other students stood around an amp and speaker near the door, adjusting the knobs to find just the right tone for guitarists Luis Lopez and Joel Flores, two 18-year-old students whose band, Light the Way, was scheduled to play later in the evening at Tomcats West. Lopez has taken part in the guitar program since his freshman year. The summer before high school, with nothing much to do, he picked up a guitar, his sister’s Squire acoustic, for the first time. It didn’t take long for him to fall in love with jamming. After he started going to guitar club, he told one of his friends about it, and word soon spread among the school’s 1,400 students. Now there are about a dozen club members. Standing next to Lopez was Mark Guerrero, 18, who graduated last year but still comes to the guitar program every Friday. He started attending two years ago, but his love of “real metal” (thrash) and his connection to “Mr. Crye” keep bringing him back. Crye said had started a similar program at Eastern Hills High School, where he taught for two years and where gangs are a way of life for many students. It was a success. Since South Hills was struggling with a similar problem, Crye figured he would bust out the guitars again and see what happened. 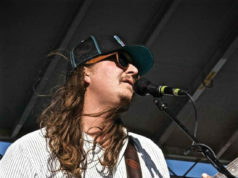 Crye is one of the best-respected guitarists in North Texas. He’s been playing since the sixth grade, when a friend introduced him to KISS’ Double Platinum. As the music roared from his friend’s stereo’s speakers, a younger Crye stared at the painted faces inside the album. He knew he wanted to be Ace Frehley and spent hours practicing. The first songs he learned were “Firehouse” by KISS and “Crazy Train” by Ozzy Osbourne. He played his first gig in 1988, at Joe’s Garage. 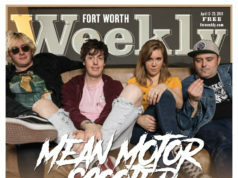 He was lucky enough to be part of the metal scene when local bands like Pantera, Gammacide, and Rigor Mortis were destroying stages across North Texas. Back at South Hills, the guitar club meeting was over, the students packing up their instruments. Next week they’re supposed to bring a song they want to learn — songs are an important early part of the process. In the corner of the room, sophomore Daniel Wyatt was still hanging around, playing “Foolin’” by Def Leppard on a battered acoustic. This had been his first day of guitar club, but he’d helped Crye show chords to other beginners. Crye walked over, picked up an electric, and asked him to show him the chord progression. Daniel’s eyes lit up, and he grinned as he got the chance to show a teacher how to do something for a change. “It starts out like this,” Daniel said, strumming out the crunchy riffage. “Like this?” Crye asked, following his lead. Crye mimicked the pattern, making only one mistake, which the student quickly pointed out. Several minutes passed before Crye was playing the whole song. Daniel nodded and smiled along with approval. “You should come back next week,” Crye said. Teaching him licks empowers his students, Crye said. The approach helps develop bonds and also gives him a tool for motivating the kids to perform better in school. As soon as Daniel cleared the room, Crye began preparing for the next day. One of the coaches opened the door. Daniel Myatt! That’s my nephew. He rips! Damn, Jim. That is cool as hell. That is some good stuff you are doing. Proud of you, man.